This magnificent, revered harbour front apartment is the epitome of refined luxury, enveloped and immersed by awe inspiring water and city views. 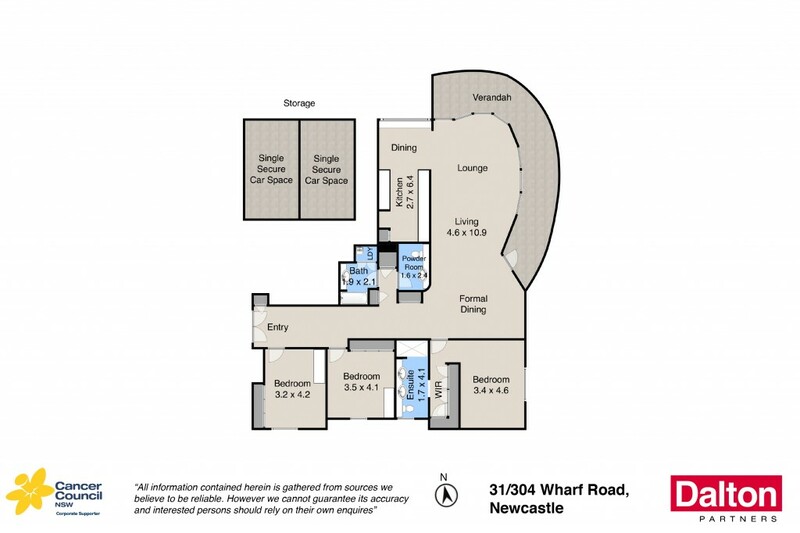 Set within a never to be repeated prime waterfront development, showcasing generous proportions, north east aspect and capturing the essence of Newcastle's cosmopolitan inner city living. Brilliant and elegant, this property's proclamation that you are somewhere special is immediately apparent. * Panoramic outlook offers striking views from living, dining, bedrooms. * Gaze towards Nobbys lighthouse, harbour basin and entrance. * Three very generous bedrooms, main with walk in robe. * 2 and a half marble and travertine bathrooms. * Oversized proportions throughout, formal and casual dining. * Craftsman cabinetry, granite kitchen, oak flooring, ducted air. * Set in the north east corner on level 3 of "Breakwater". * Double security parking plus locked storage room.